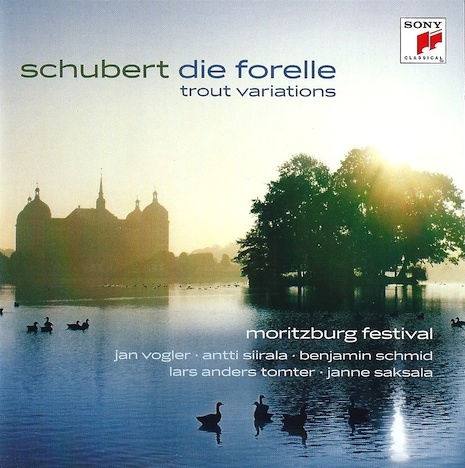 Schubert: Die Forelle - Trout Variations - special note: check out track 9 - Forelle Blue by Benjamin Schmid and Stian Carstensen. Recording at the Moritzburg festival with tracks from Jan Vogler, Antti Siralla, Benjamin Schmid, Lars Anders Tomter, Joanne Saksala. Listen to Benjamin´s and Stian Carstensen´s improvised version on the Schubert "Forelle- Lied" !